Last Sunday, Brittney (@britl) took me on a very Edmonton adventure. 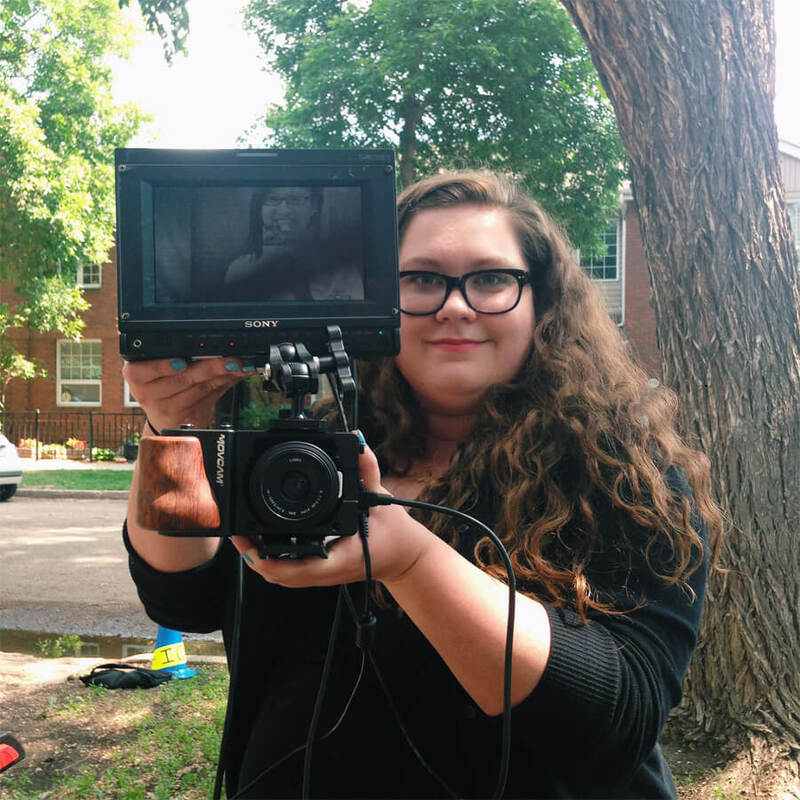 June 21 was #DIYCity Day, a day that’s all about making and celebrating public spaces in Edmonton. #DIYCity is a Make Something Edmonton initiative, that started out of the idea (or challenge) to Edmontonians to look at how Edmonton spaces could be turned into places. A space: just that – an area, an empty street, block of grass, alleyway, atrium or outdoor square. A place: When art installations or events, activities, activations fill that space and create memories, connections, and emotions with people. There were over two dozen #DIYCity projects (check them all out here), and I wish we could have visited them all but we had precious little time (plus we had to squeeze in Build Your Own Noodle Bowl lunch at Tao Garden), but we did get to quite a few and I wanted to recap them a bit on this blog! 1. 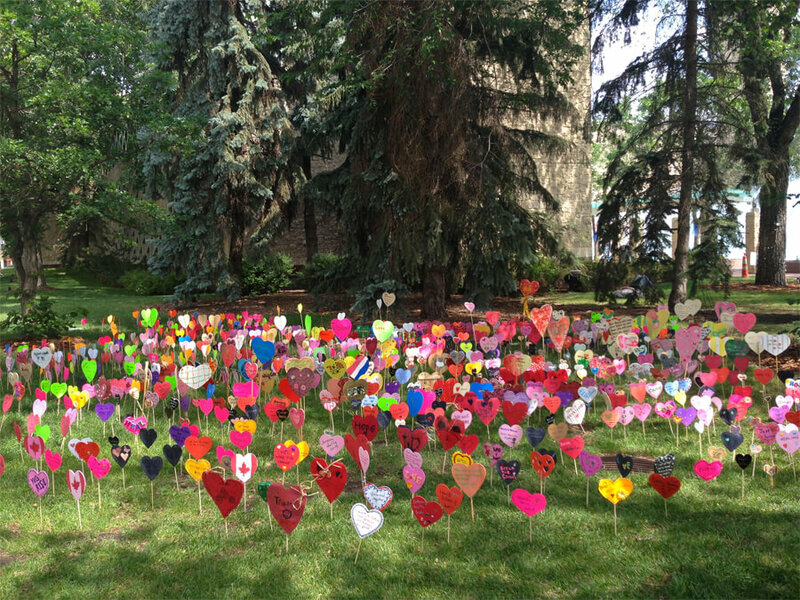 Our first stop was Heart Garden put on by RISE – Reconciliation in Solidarity Edmonton. 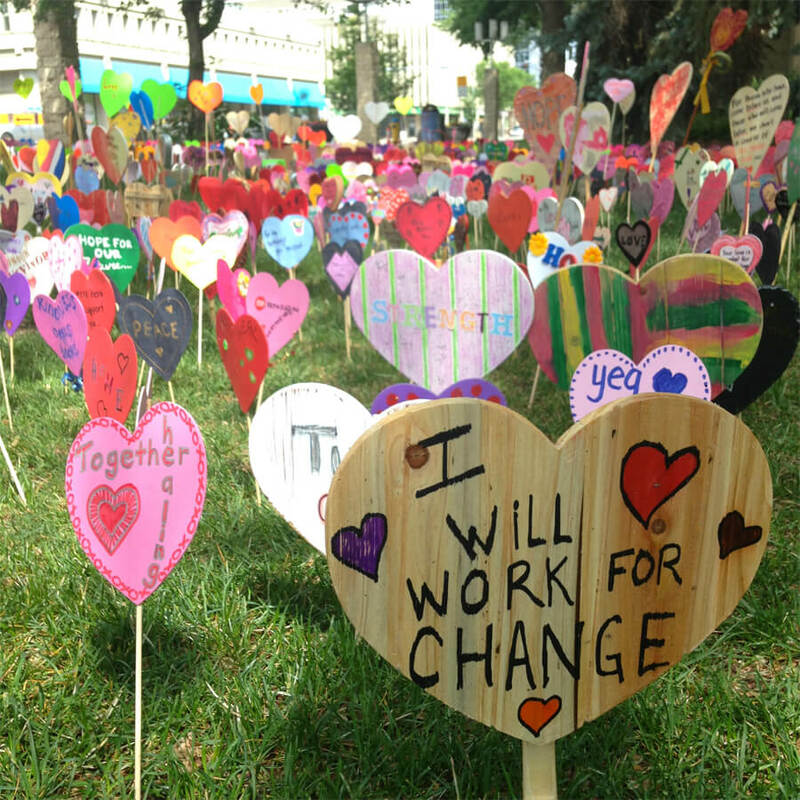 Inspired by the Heart Gardens that will be ‘planted’ across Canada during the Truth and Reconcilation Closing Ceremonies, RISE’s Heart Garden featured a collection of hearts with messages from Edmontonians to residential school survivors and commitments to reconciliation. Brittney actually attended a workshop where she created a few hearts to be added to the garden too. The hearts were planted at Churchill Square and was a truly beautiful tribute. 2. 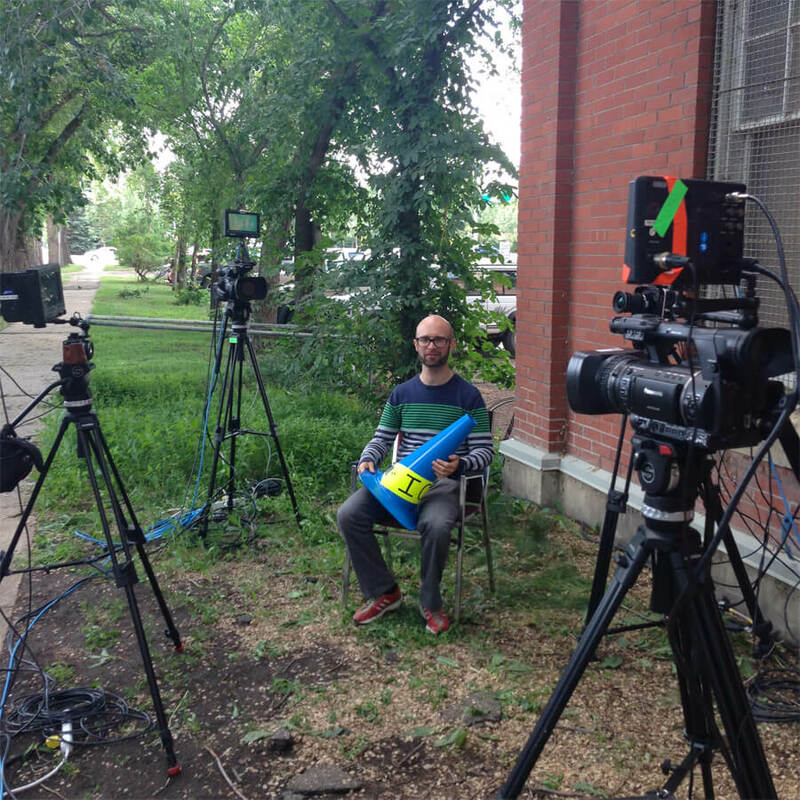 Our next stop was #yegfilm’s ICUC installation outside the Ortona Armoury. They set up 5 different video cameras with monitors, but the cameras aren’t connected to the monitor you’re looking at. The point was to mimic the surveillance / Big Brother-esque feeling that is a part of everyday life now. You’re rarely thinking about how you’re being filmed or photographed through security cameras, phones and the “everyday eyes on the street.” It was a pretty interesting concept. 3. 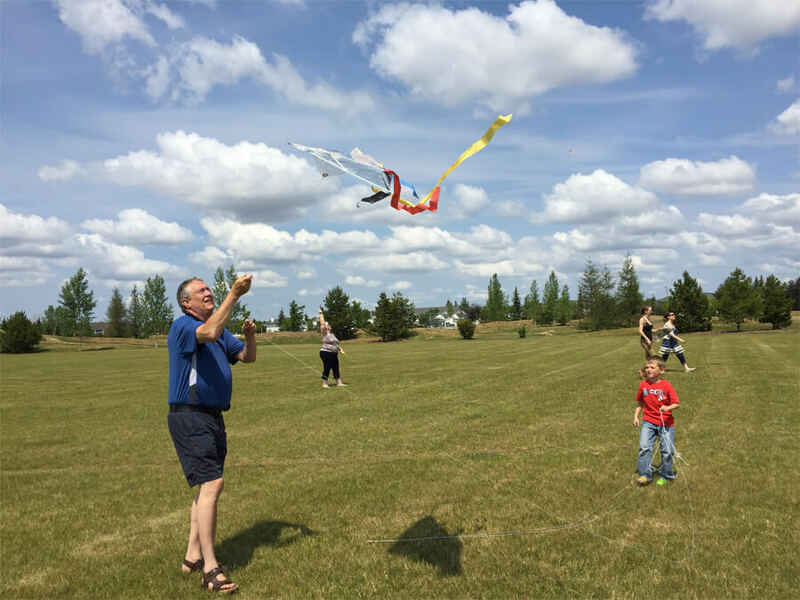 After being surveilled – we went to Mill Woods for Kite City. 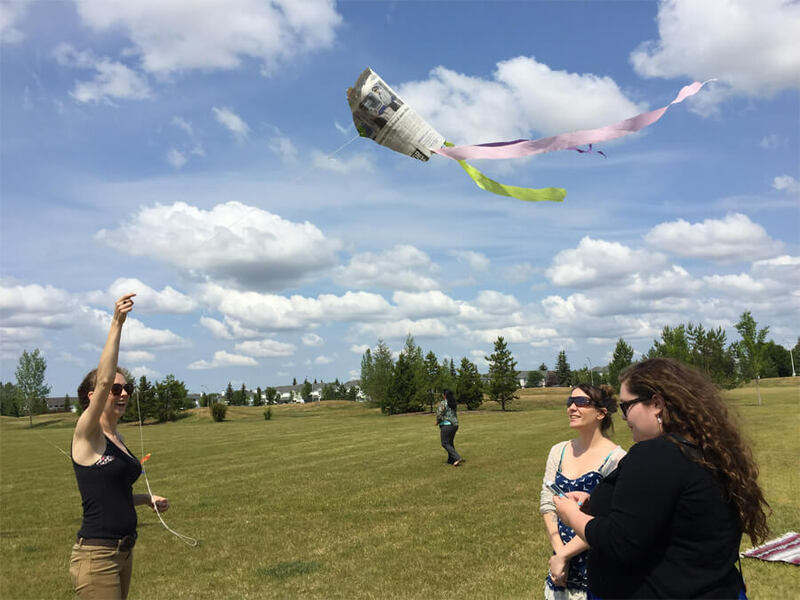 Makers invited Edmontonians to come to Sister Mary Ann Casey Park in Mill Woods to simply fly kites together. 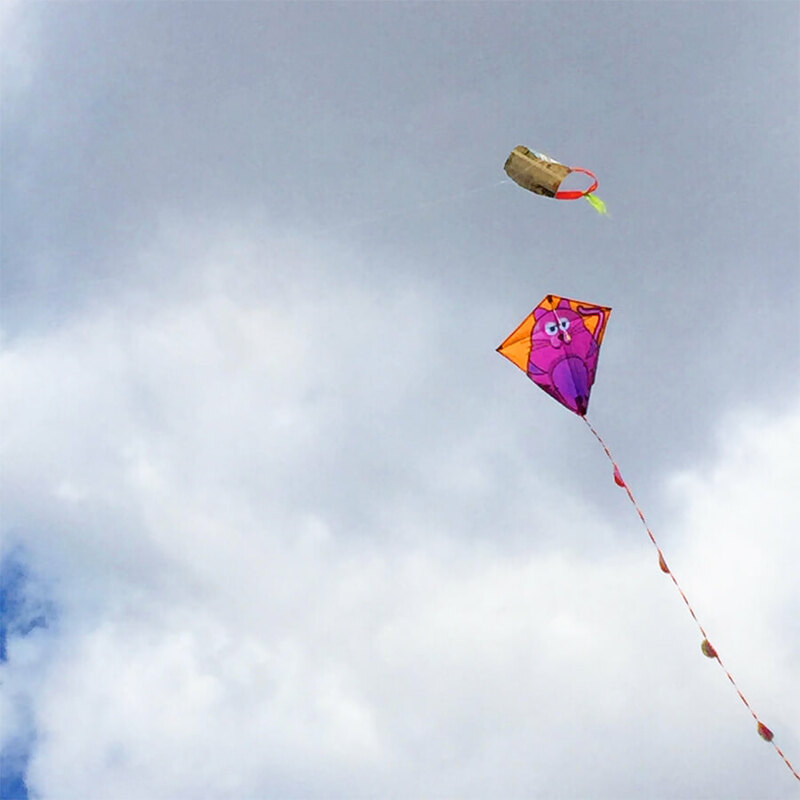 Materials were provided to make yourself a simple kite, but you could also bring your own kite or borrow theirs. There were a handful of people out flying kites when we got there, including some kids with some grandparents who were having the time of their lives. 4. 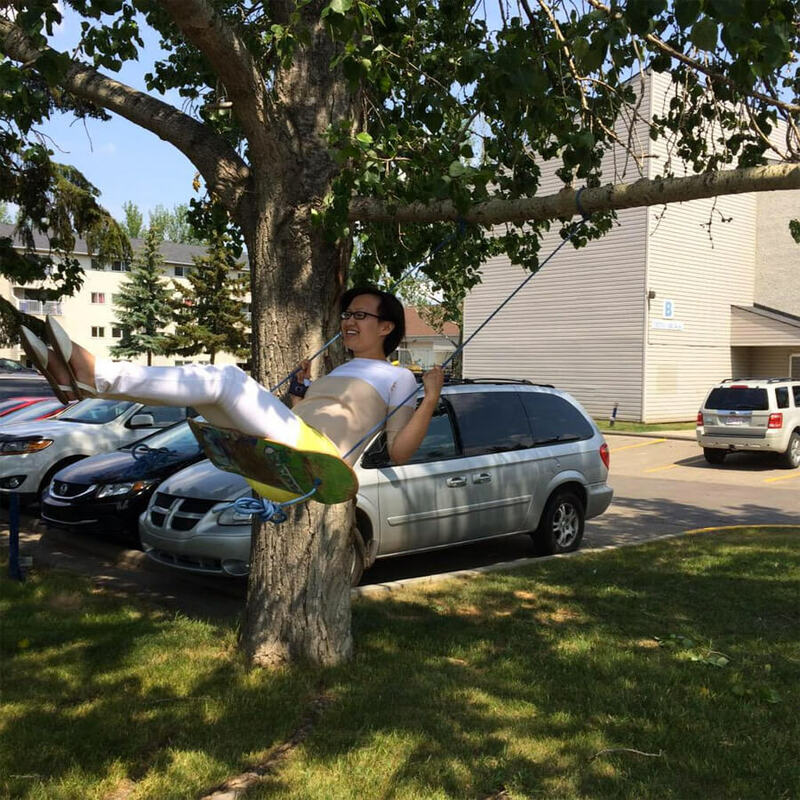 Last on our DIY adventure was a trip to west Edmonton to a last-minute #DIYCity project – the Adventure Town Tree Swing. 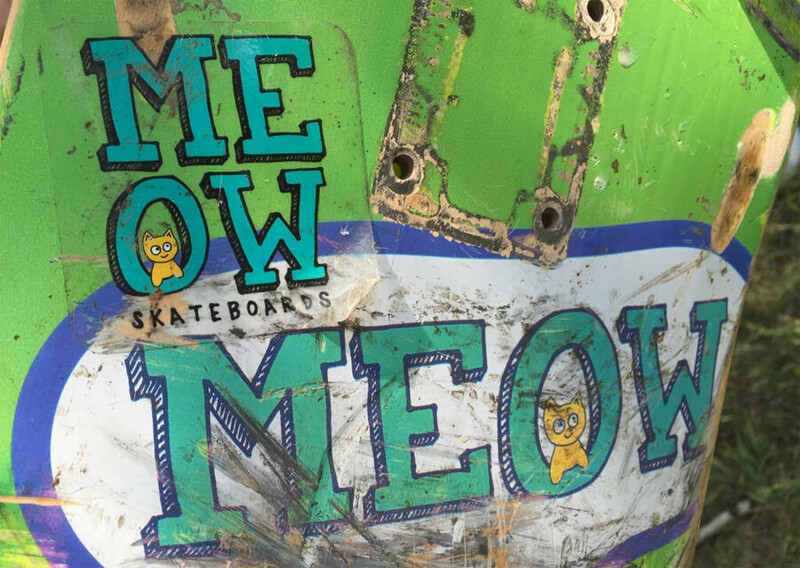 Some residents in west Edmonton crafted a tree swing out of an old skateboard! It’s such a simple thing, and yet so neat and creative. It brought a smile to my face as soon as I saw it and I thought – more neighbourhoods should have fun, make-shift swings. (You also get a lot of height on it!) We also made a point to go out to this one in the west end and to the Mill Woods one because they were one of the few that weren’t located in the downtown core – spaces can be everywhere! The space-making day also coincided with #yeglongday – the longest day of the year (with the most hours of sunlight). It was really just the perfect day to spend exploring Edmonton and seeing how just a little bit of imagination can transform a place into an interesting, fun, visited area where you can connect with other Edmontonians – maybe strangers, maybe neighbours. 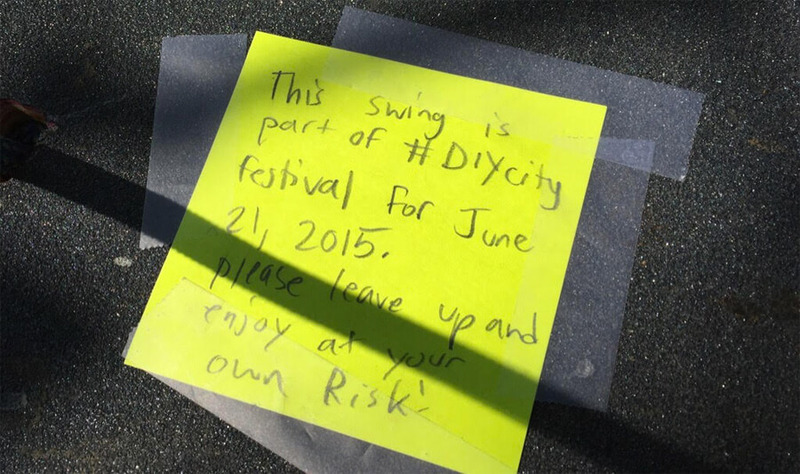 As the projects we visited – and the list of all #DIYCity projects show – it doesn’t take a lot. It can be so simple yet have such a big impact on the city. Spaces are what we end up talking about the next day – the next year, to friends, colleagues, visitors to your city. It’s those unique “made in Edmonton” initiatives that light you up and get you excited about your city. This – and Brittney – have already inspired me to look at how to turn a place into a space – including looking at turning this typically boring wall of King Noodle House into a vibrant, community mural. I’d also love to create a space like this featuring adoptable kittens/cats – either at the Edmonton International Cat Festival next year – or maybe at next year’s #DIYCity. Did you check out any #DIYCity projects? Would you create one yourself? And if so, what would it be?